Is it worth it to bike to work? 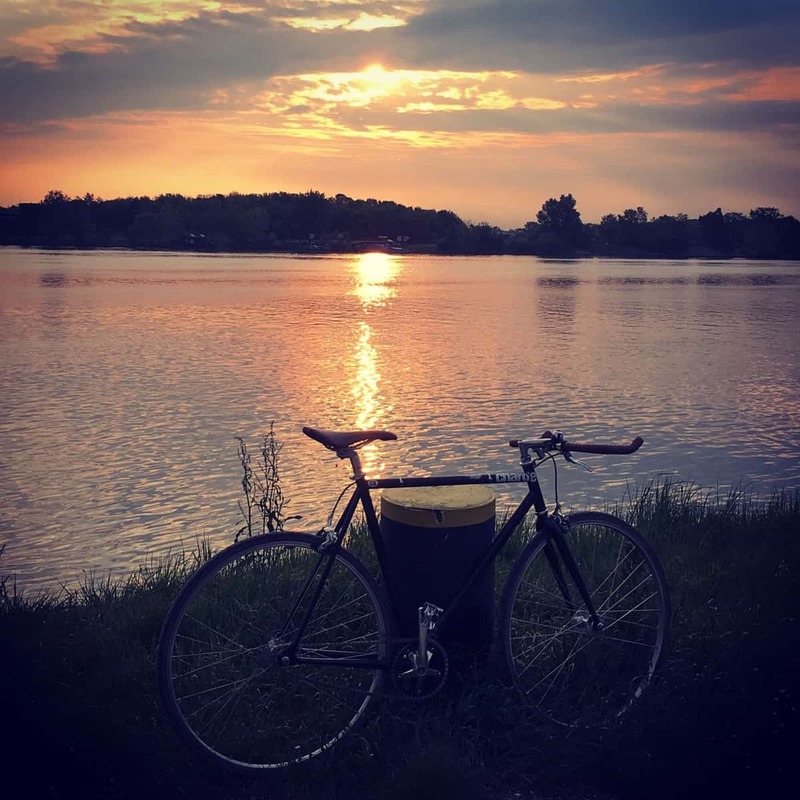 In May over 50 IIASA staff members took part in the Austrian Bike to Work month (Osterreich Radelt zur Arbeit), logging 11,681 kilometers riding to and from the institute in Laxenburg. The institute took fifth place in Austria in terms of kilometers ridden, and first place in Lower Austria. According to the Austrian initiative’s calculations, this effort translated into saving over 1900 kg of CO2 emissions, or on average 36 kg per person—which is approximately 4% of an average Austrian’s monthly CO2 emissions. However, this calculation assumed that each of the IIASA cyclists would have been otherwise driving alone in a car. Since many people ride the bus or take public transport if they’re not biking, the actual emission savings from our cycling efforts in May were in fact much less. In fact, since buses and trains run anyway, cycling to work may make no impact whatsoever on emissions of air pollution and greenhouse gas emissions. Does that mean it’s not worth it to make the effort? IIASA researcher Jens Borken has analyzed the impacts that our daily travel has on the individual climate footprint. Personal mobility—all kinds of travel—make up about one third of the average European’s annual greenhouse gas emissions: the rest come from consumption choices and household heating and energy use. Of the carbon footprint from mobility, he says, commuting generally only makes up 10-15% of that. The largest part of the mobility budget is related to shorter and longer distance leisure travel, and in particular from air travel. Of course there are benefits of cycling beyond the environmental or climate impact, which is one reason that once they start, many people keep it up. Cycling regularly can save money compared to commuting by car or public transport, and like any regular form of exercise, it can bring health benefits and stress relief. It also brings autonomy and flexibility compared to public transport. Borken points to research showing that the health benefits of cycling outweigh the exposure to air pollutants that a cyclist might experience on busy city streets—and that automobile drivers are exposed to even higher levels of air pollution within their cars. 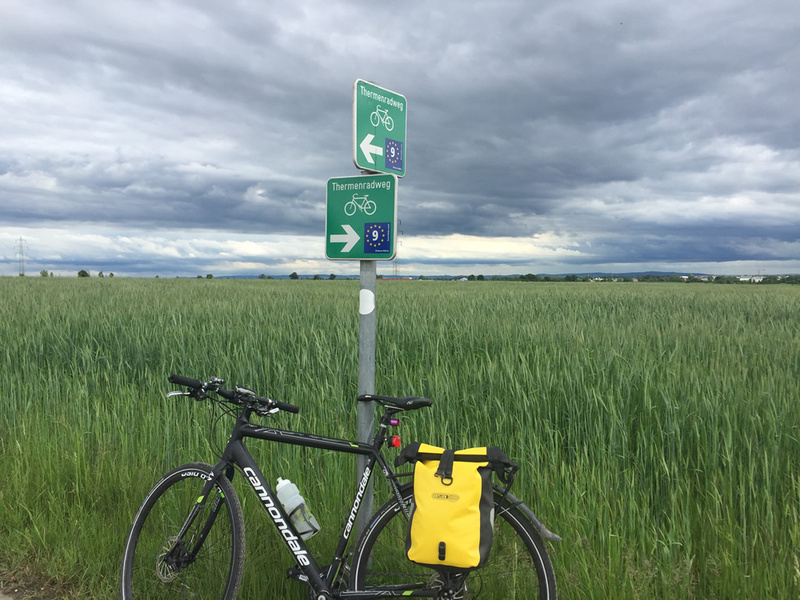 Cyclists who ride to IIASA, located about 15km outside Vienna, probably have even lower exposure to air pollution riding along tree-lined bike paths. “Riding to work in the morning wakes me up and prepares me for the day ahead. Even if windy and challenging, the return in the evening calms the mind while riding with colleagues at a pace that allows us to chat at the end of a busy workday. It’s truly one of the best ways to get exercise and stay healthy – good for the heart, good for the environment and, most importantly, good for the soul,” says Michaela Rossini, manager of the IIASA library and a co-organizer of Bike to Work Month at the institute.